The fundamental issue appears to be that the role of a Digital Asset Librarian is still undervalued by many organisations, even though such staff typically offer superior ROI when measured up against related investments, e.g. software. The situation a few years ago (which is only just starting to change now) was that there existed an implicit assumption that DAM software obviated the need for a dedicated employee. I can recall reading ROI cases for DAM where the costs saved by being able to dispense with a media librarian (usually for photos or videos) were at the foundation of the business case. Indeed, in the earlier stages of corporate DAM, circa 2000-2005, this point was often highlighted by vendors in their marketing as a valid reason to buy their products. Usually after a system gets deployed and the level of adoption is not as great as was first hoped there tends to be a gradual acceptance that you need a human being to pick up all the numerous finer points of DAM initiatives that the software isn’t flexible or smart enough to cope with. I know of a few people who formerly had job titles like ‘photo library manager’ who were fired and then subsequently re-hired after a few months freelancing back at the firm who previously dismissed them (but with the new job title, ‘digital asset manager’ instead). 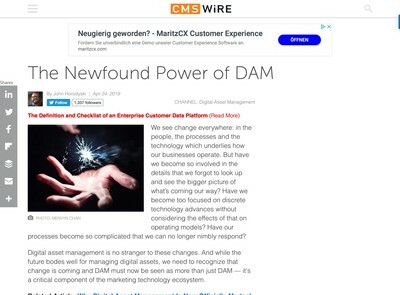 No matter how many times they are told, it seems executives responsible for DAM initiatives are pre-destined to make this mistake themselves before the folly of it finally sinks in. I would agree with all this. Part of the problem is the perceived ‘manual labour’ element related to anything associated with libraries and the staff who work in them. The role invokes images of people carrying armloads of books, standing on stools next to shelving and carrying out mundane, filing-related tasks. There is a perception among too many corporate managers that anyone with a basic level of education can do it. As with the discussions about cataloguing from some our previous articles in the last few weeks, the intellectual aspects (or ‘thinking about what you have to do’ in plainer terms) are still complex undertakings that are not properly understood by anyone who has not done this themselves, or at least worked closely alongside a librarian. We need something to manage all our stuff. Let’s get a system to do it. The vendor promised us we just have to plug cash in and their system will take care of everything. Now we’ve got this thing, we can just get everyone to upload and catalogue everything themselves during their ‘spare’ time and sack person x [if they were employed to start with] because we don’t need them any more, right? We can’t find many useful assets on this system, it must be broken. It isn’t broken, we can’t afford to get a new one and they’re all fairly similar anyway. We need to hire person x to catalogue all the assets on behalf of everyone else, find stuff for them because they can’t/won’t do it themselves, train staff how to use the system, re-design our taxonomy, manage metadata entries, advise on format conversion and batch media processing, hassle the vendor support people for us, conduct user feedback and focus groups, plan integration with other IT systems, write requirements specifications for upgrades and make the coffee for everyone. There must be loads of suitably qualified people who would jump at the chance to do this and are prepared to work for a super-cheap salary too, right? 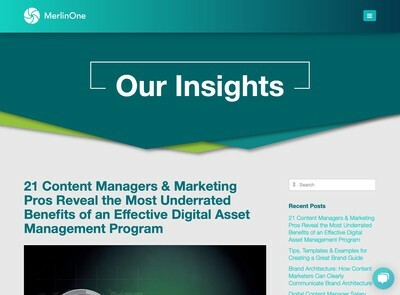 The job market (like any other) will eventually mediate a mutually acceptable level of remuneration for digital asset librarians, but in the interim period while that process works itself out, the cost to businesses will be limited ROI from their investments into DAM technology. If I were contemplating a DAM initiative now, I might be thinking about how to get ahead of the curve by anticipating this issue and planning (in advance) what kind of HR implications it may have rather than running sequentially through my earlier list of points over a period of a year or two. 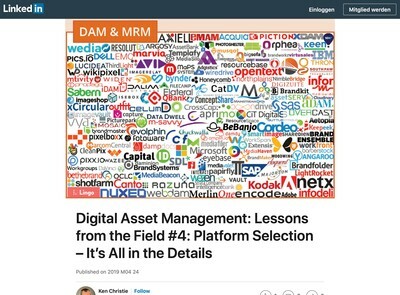 One final point for anyone hoping to locate digital asset managers who are not getting brilliant results from their regular recruiters, DAM Guru offers a matching service to connect employers with prospective staff for both permanent and freelance positions (and free of any costs also). Your bulletpoint list there is a timeline story I hear over and over again! I have experienced this with my current and soon to be previous employer. 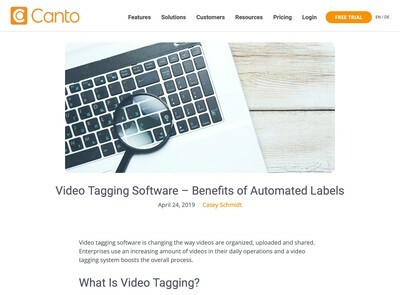 They are under the impression that they can get someone for less than $70K a year to manager their custom system which cost them hundreds of thousands of dollars to put in place. Before turning in my notice to move on to another company I asked about having a FT support role to my position and they said that automation would do enough to offset the need for FT staff. It will be interesting to see what happens over the next several months.